Jeddah Shadows Hotel Suites - Premier Double Room - . 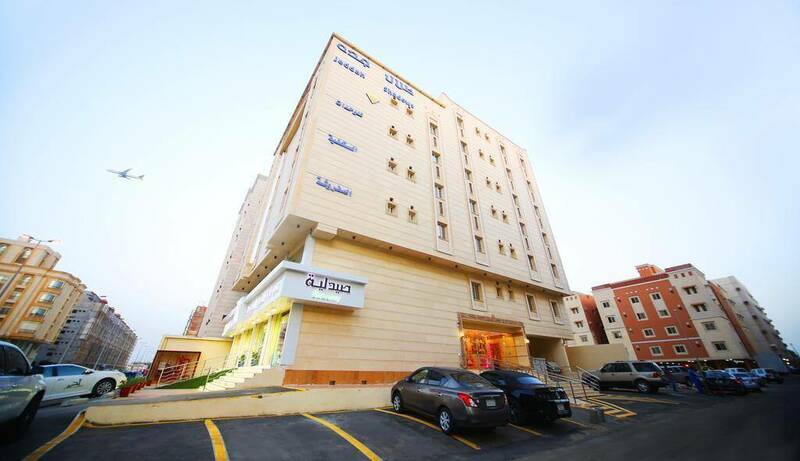 Jeddah Shadows Hotel Suites is a three stars hotel suites located in Abi Habib Al Ansari Street, From Prince Mutaib Bin Abdulaziz Road, Al Marwah 2, Jeddah, 5 km from Mall of Arab, 8 km from King Abdulaziz International Airport. With its unique location. Enjoy discovering the Jeddah City by visiting the important landmarks such as Abdul Latif Jameel Hospital For Medical Rehabilitation, Aziz Mall, Jeddah Eye Hospital, Heraa International Mall, Mall Of Arab, Al Ansar Hospital, Sultan Mall. The hotel suites also offers free WIFI and free parking for your comfort. When would you like to stay at Jeddah Shadows Hotel Suites? 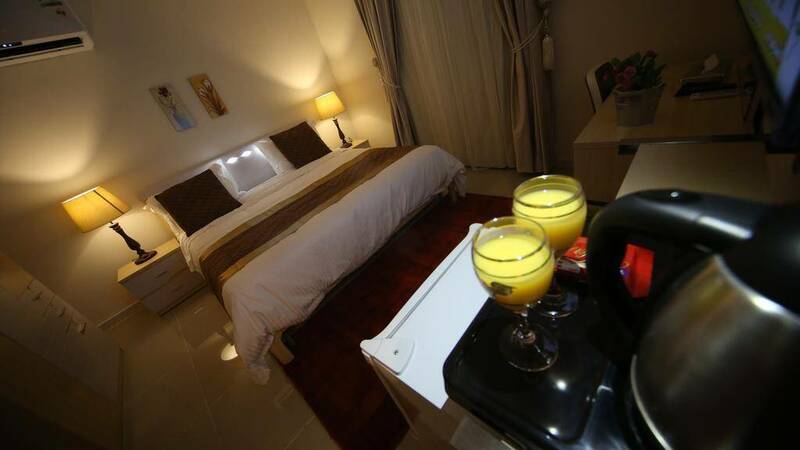 It has 1 large double bed, 1 sofa bed, bathroom and seating area to enjoy a convenient accommodation. 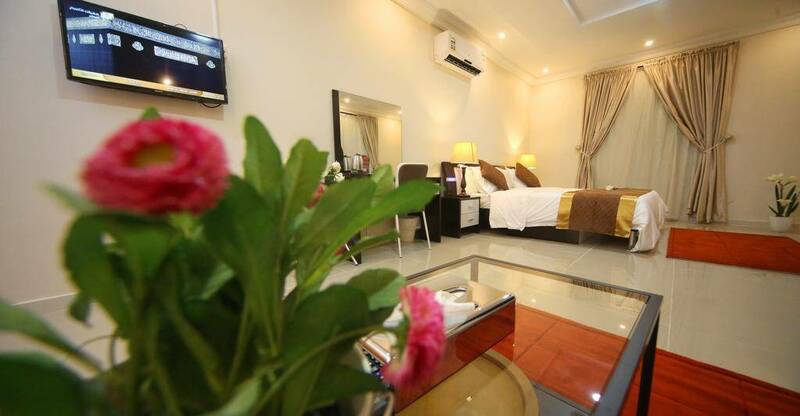 Jeddah Shadows Hotel Suites - One-Bedroom Apartment - . It has 2 large double bed, 1 sofa bed, bathroom and seating area to enjoy a convenient accommodation. 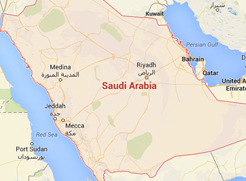 Jeddah Shadows Hotel Suites - Two-Bedroom Apartment - . 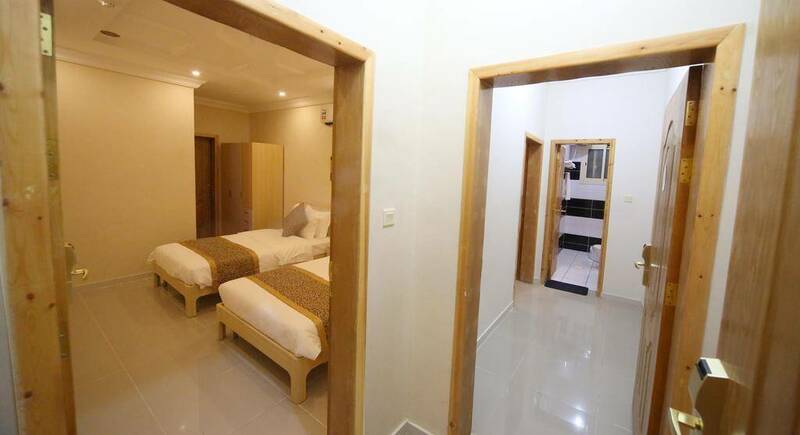 It has 1 large double bed , bathroom to enjoy a convenient accommodation. Jeddah Shadows Hotel Suites - Premier Double Room - Jeddah Shadows Hotel Suites - Premier Double Room - Jeddah Shadows Hotel Suites - Premier Double Room - . It has 1 large double, 1 sofa bed , bathroom and seating area to enjoy a wonderful accommodation. 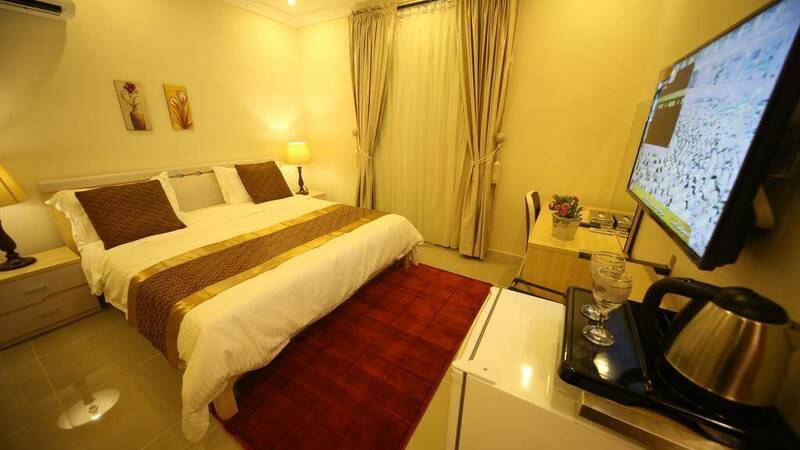 Jeddah Shadows Hotel Suites - Superior Apartment - . It has 2 large double bed, bathroom, seating area to enjoy a wonderful accommodation. 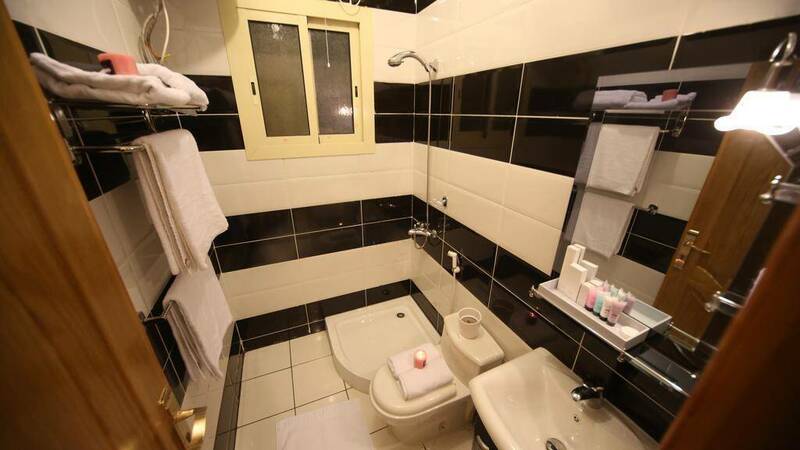 Jeddah Shadows Hotel Suites contains convenient apartments of five type with total apartments of 43, fully equipped with all sort of services and amenities such as private bathroom with slippers and free toiletries, kitchen with a microwave. Moreover, Each apartment offers a Flat-screen TV with Satellite Channels, Wardrobe, Air Conditioning, Tumble dryer, Ironing Facilities, Iron, Private entrance. The apartments have several stunning decors and types include: One-Bedroom Apartment, Two-Bedroom Apartment, Premier Double Room, Superior Apartment (2 adult), Superior Apartment (4 adult).